Saints and chefs and curly-haired housewives. Old bearded fellows from times gone by. Fatties, babies, witches, evil clowns. Some have hats on, a couple are skulls. 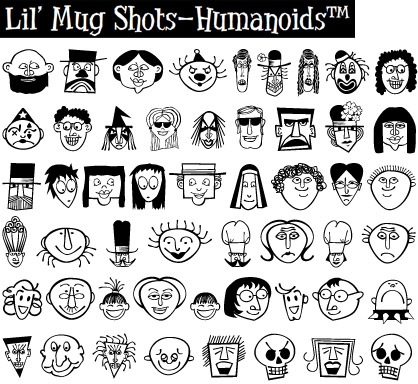 But they’re all humanor, well, humanoid. US$25.